Let our enthusiastic and professional event planning team create a bespoke event for you. We can accommodate small groups in our Green Valley Grill dining room and up to 150 guests in event spaces at the O.Henry Hotel. 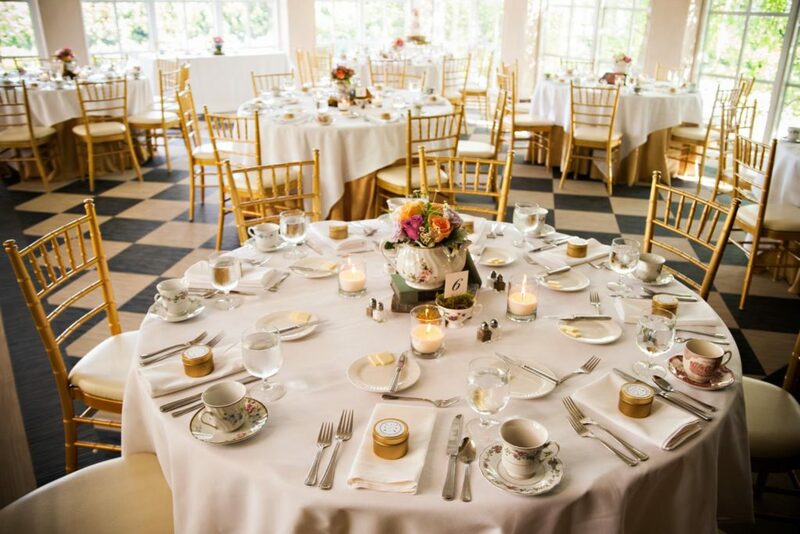 Our elegant surroundings, convenient location in central Greensboro, attentive staff, gracious amenities, and accomplished catering team ensure that you will enjoy every moment of your event. If you are searching for a special place for a group lunch (or brunch) party that isn’t in a private room, look no further! Host your party of up to 30 guests at Green Valley Grill with extraordinary flavors from our lunch menu or a limited menu designed especially for your group. To make your planning easy, take advantage of reservations, call-ahead seating, and even pre-ordering. For more information, please call us at 336-854-2015. The largest banquet space at O.Henry Hotel opens to the Social Lobby. The Caldwell Room features four outside arched windows and access to an intimate courtyard area. 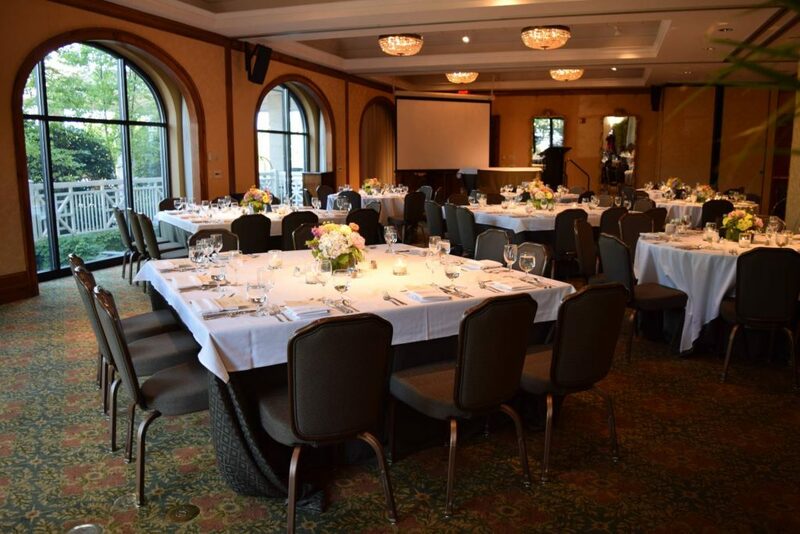 The room can accommodate larger receptions of up to 150 seated guests or 175 standing. 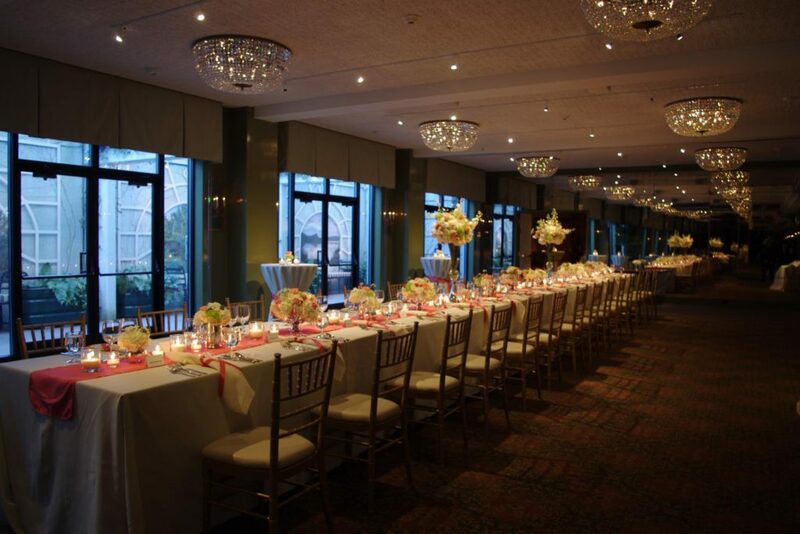 Located on the terrace level, the Hawkins Brown Room accommodates up to 80 seated guests and 100 at a standing reception. It features four double doors that open onto a wonderful English-inspired walled garden with five landscape murals. It can be combined with the Palmer Room for expanded capabilities. Our peaceful oasis of an outdoor room is surrounded by flowering trees and vines. The Don Rives Cloister Garden adjoins our orangery-style Pavilion, a sunny window-enclosed room. The two areas can be combined and used for a cocktail party and dinner or a wedding and reception of up to 50 seated or 75 standing guests. The garden also adjoins the Social Lobby. The Palmer Room, located on our Terrace Level, is a very special place for intimate groups up to 18. 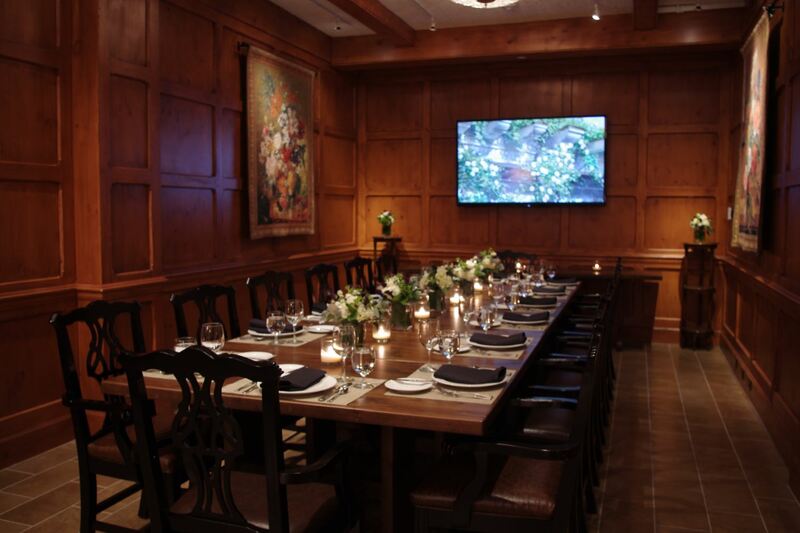 This room draws its inspiration from elegant board rooms and our pine paneled Social Lobby. 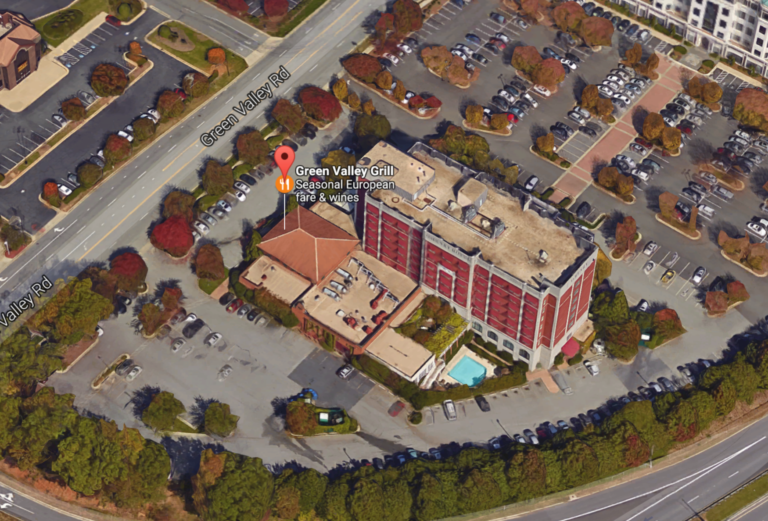 With a private entrance hall, this is an intimate setting for a business meeting, luncheon, social gathering, dinner, and other events in Greensboro! It can be combined with the Hawkins Brown Room for expanded capabilities. 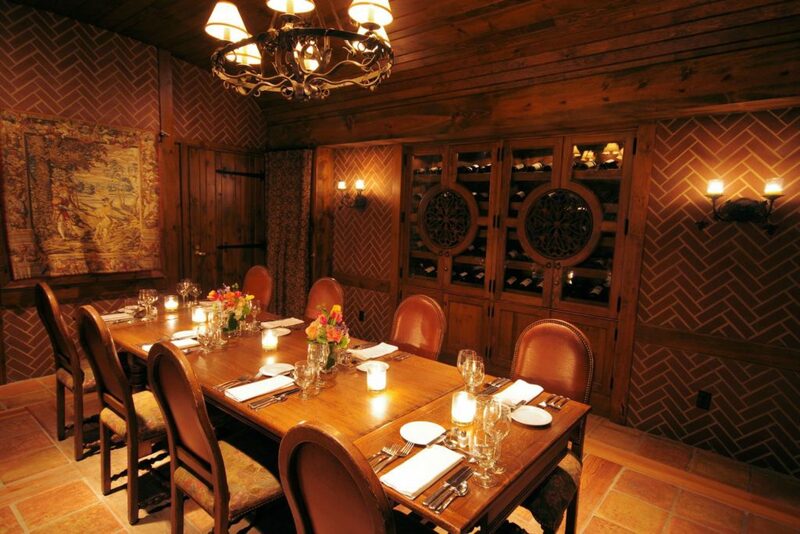 A very special place for intimate groups of 14 or fewer people, this room draws its inspiration from the wine-tasting rooms found adjacent to fine subterranean wine cellars. 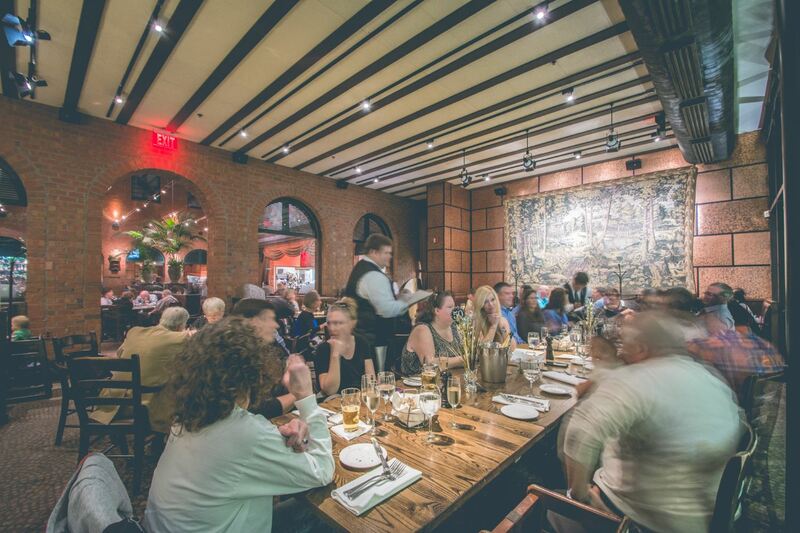 The room boasts a vaulted wooden ceiling, handmade floor tiles set between large heart-pine planks, a wall of enclosed wine racks, and herringbone masonry walls.